Keaton was no stranger to self-reflexivity (recall the censoring hand over the lens in One Week), but this literal cinematic dream is the first great film about film. Every Keaton film has its "How did he do that?" moment, but Sherlock Jr. has one a sequence. Keaton's perfect blocking in the scene where he interacts with the screen, the trick of him diving through a man's "torso," his wild motorcycle ride: I still jump when the last section of that bridge collapses as he drives smoothly on. As a technical achievement, it's rarely been surpassed. As a laugh-getter, it never has. The greatest of all musicals, Singin' in the Rain takes a wry but loving look at the early days of talkies and how the musical showed what the format could really do. Where to even start with the film's pleasures. There's the Technicolor-saturated imagery, its own little joke about/endorsement of technological movie fads and their possibilites for cheap kitsch and high art). The hysterical gags of hammy dialogue and Jean Hagen's helium-drenched squeak, like a chain-smoking four-year old. 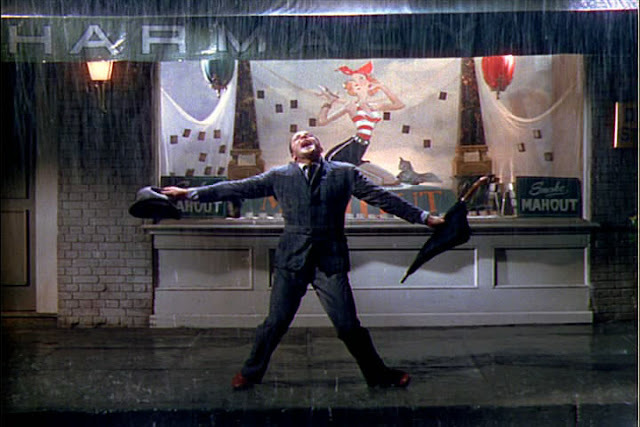 And of course, there's the dancing, from Gene Kelly's giddy twirl in the rain to Donald O'Connor's fearless "Make 'Em Laugh." When someone says they hate musicals, kindly tell them about this movie. And then avoid them forever. Joe Dante rose to prominence as a protégé of Steven Spielberg's, and damned if he hasn't consistently bitten the hand the feeds ever since. The timing of Small Soldiers is almost too perfect, its deliberate hodgepodge of military film references a satirical parallel to the shamefully overeager contradictions in Spielberg's own 1998 war movie. In fact, Phil Hartman, playing a suburban dad who loves every new technological doo-dad for his home theater and says things like "World War II is my favorite war," might as well be a Spielberg stand-in. But beneath the hilarious sight of military-chip-powered toys doing battle in a neighborhood are complicated insights into a socially ingrained thirst for war (the toy store that sells no violent toys teeters on bankruptcy), the growing cultural influence of the military-industrial complex (defense contractors making toys isn't far off from making recruitment video games), even the racist predestination of the genre, and its real-life corollary (ethnic native populations exist to be killed by arrogant white soldiers). 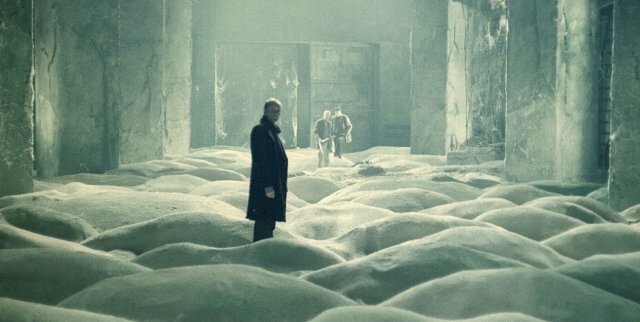 Tarkovsky's spiritual journey into a realm that is both an escape from the prison of the USSR and its own cage is, even by the director's standards, slow and hypnotic. The Zone represents the best and worst of us, the basest impulses and the most fervent faith. What lies at the heart of this area? God? Aliens? A lethal dose of radiation? The latter is only the explanation with evidence to back it up, but as the Stalker leads his doubtful trekkers deeper into this lush are surrounded by so much slop and Communist decay, the questions raised grow ever more complex, as nihilistic as they are affirming. Stalker sets up the expectation of something earth-shattering, but it's only after you've watched it and gone away for a while that you realize the whole slog of has been life-changing. That's true not only of the characters who venture into the Zone but, judging from some of the responses to the film (including my own), the audience. 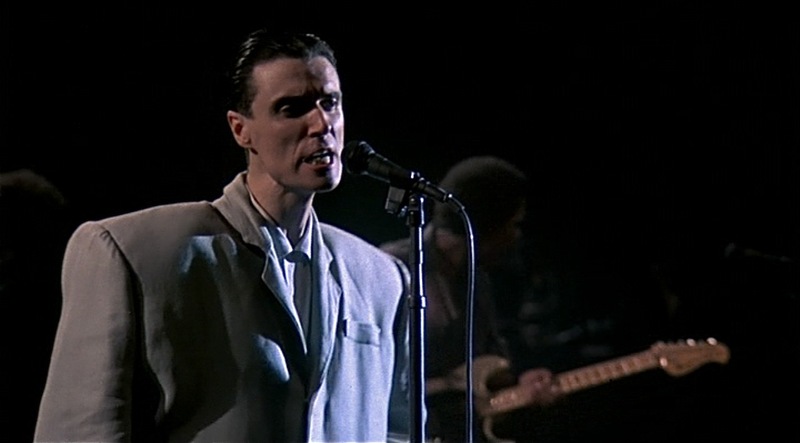 Stop Making Sense is a concert film of unorthodox structure, not only in Demme's aesthetic focus—avoiding crowd shots or back-stage patter, perfectly timing his edits and movements even as he doesn't get in the way—but in the band's own performance. The manner in which Talking Heads do not simply come on stage but coalesce gradually adds an element of surprise, and odd poignancy, to the concert. Then there's the actual performances, which brim with the post-punk group's weird, spiky energy and funky playfulness. As David Byrne jitters about, soft-shoes in an oversized suit and even runs laps around the stage, the band's art trappings peel back to reveal a fundamental desire (and ability) to please a crowd. Herzog's journey to America is a travelogue fraught with disillusionment and dashed hopes. The collection of German freaks who seek greener pastures in the U.S. and find only economic downturn and malaise so unbearable that the woman among them stoops to blowing truck drivers just for a ride anywhere but here. Bruno S.' cryptic, deranged rantings are so slipshod yet passionately delivered they must have come out of the actor's ill brain, yet for such an unpleasant creature he is intensely pitiable. 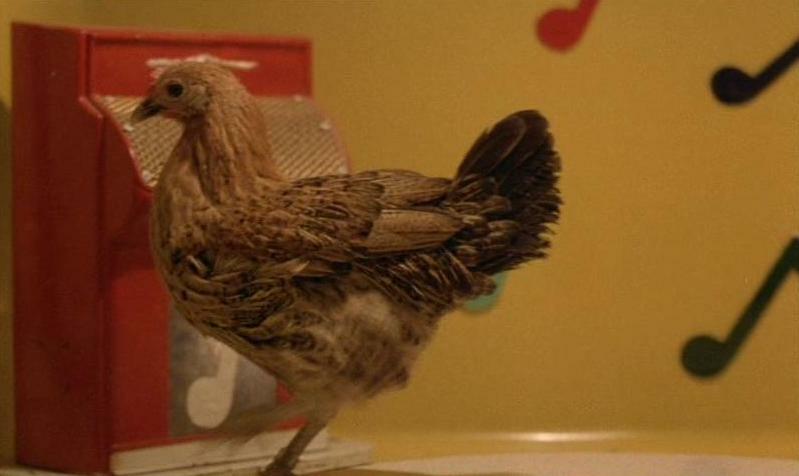 The climax, with its roadside attraction set on surreal autopilot as a gunshot echoes in the distance, offers the weirdest, funniest, yet saddest takedown of the American Dream put to film, and the only one where a dancing chicken has a prominent role. A swirling melodrama of love, betrayal and reconciliation, Sunrise is elevated into the pantheon by Murnau's poetic camera. In the countryside, his camera drifts along the moors in the moonlight (what I wouldn't have given for a Murnau-directed adaptation of Wuthering Heights). 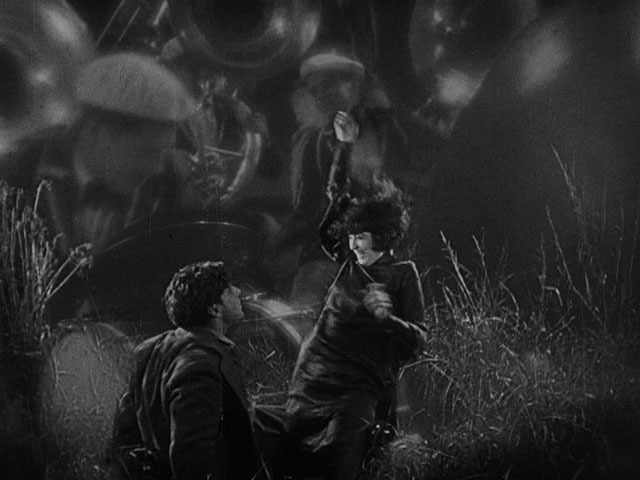 In the vast city set, Murnau pulls back and manages to frame the same shots with wildly conflicting moods at different moments in the film. 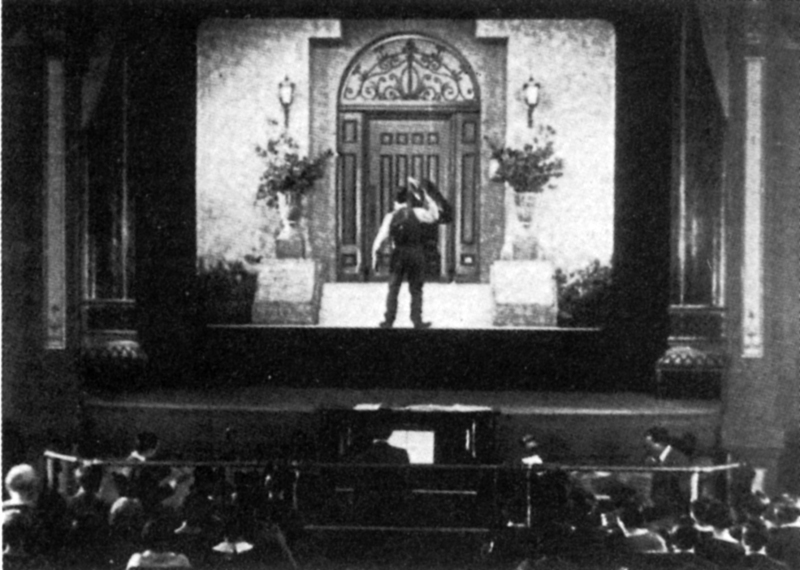 As if foreseeing the coming death of the silents, Murnau uses the movie as a staging for every cinematic technique invented to that point, as well as some tricks of the director's own. Yet for all the dizzying skill, enduringly impressive and dense, no other film feels so elemental, in story and craft. What can you say about this film is doesn't already say with more florid, pulpy eloquence? Clifford Odets' script has dialogue to die for, blissfully unconcerned with how "real" people talk and focused only on accentuating the noir setting to the max. 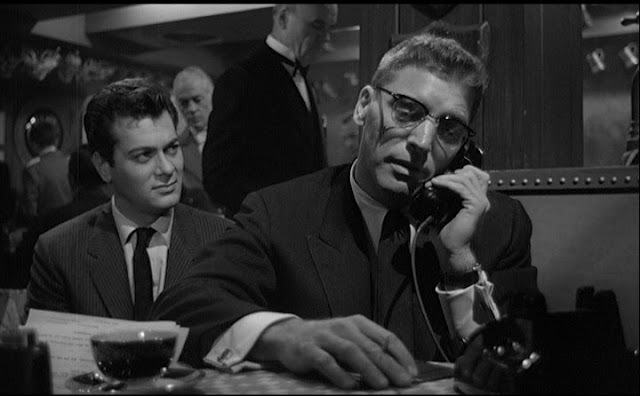 Tony Curtis twists his good looks into a rat-like sneer, all ambition but no guts, while Burt Lancaster, buttoned up by the suit and thick glasses of a newspaperman, has never been rawer or more imposing. That Lancaster's Hunsecker enjoys so much power as nought a gossip columnist is but one of the film's many cosmic, abysmally black jokes. 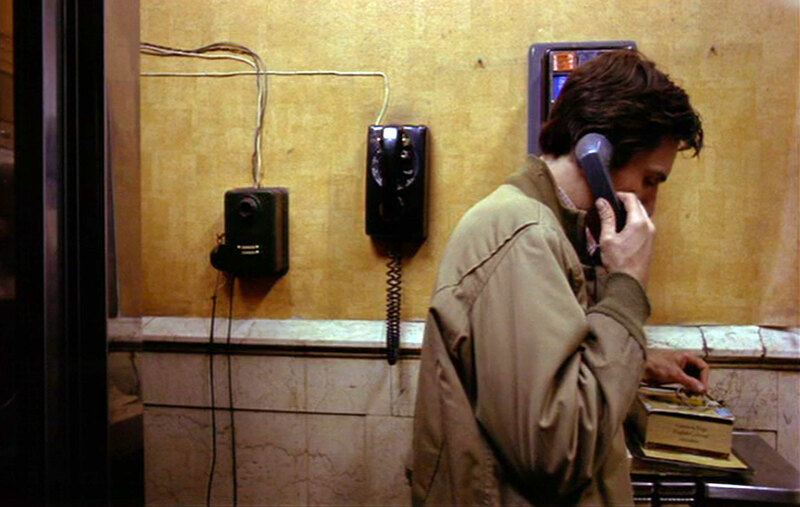 Jane Campion's feature debut uses odd lens choices, fragmentary and non-facial close-ups, and vivid color contrasts to probe into her characters deep social and psychological hang-ups. The story of two warring sisters, one neurotic and withdrawn, the other open but stunted, smacks of the Shem/Shaun sibling war of Finnegans Wake, complete with a rampan Elektra complex. But Campion's daring, idiosyncratic aesthetic marks her most flagrant attempt to capture a feminist look. At the very least she lacerates the male gaze with unsparing irony. 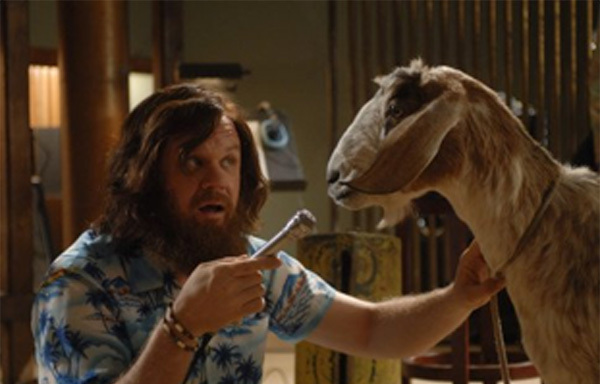 The final, twisted hallucination is too uncomfortable in its various implications to look at directly. Scorsese's best film occupies such a huge place in pop culture that it can be easy to overlook not only how insidious a portrait of alienation and loneliness it is, but also how subtle and human it can be as it erects the ultimate anti-protagonist. That shot that drifts away from Travis as he is rejected by his idealized love, a move that communicates both Travis' psychological break from the world and, more simply, Scorsese himself bowing away in embarrassment and respect, is the single greatest, most profound, most insightfully subjective shot in Scorsese's oeuvre. Elsewhere, Scorsese and De Niro (in his wiriest, most tightly coiled performance), look upon their Dostoevskian psychopath with such sympathy that people still mistake Travis for a hero. 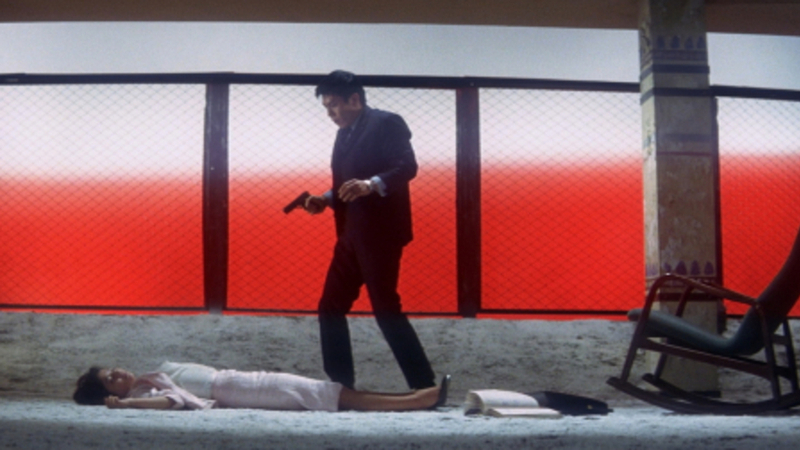 Suzuki's subsequent Branded to Kill might, despite its monochromatic color, might be even weirder, but the sheer awesome gaudiness of this neon-soaked jazz-noir grabs me more. To watch this film is to see a director in giddy, open war with his studio, using all the impositions they placed on him to get a straightforward movie in order to get ever weirder. The plot is utter senselessness: in one memorable scene, Suzuki evades over how the hero gets away from his pursuer, only for, minutes later, the bad guy to show up bleeding from a stump for a hand and ready for another round. In terms of elegant, inventive tastelessness, Suzuki's Dadaist compositions reign supreme. 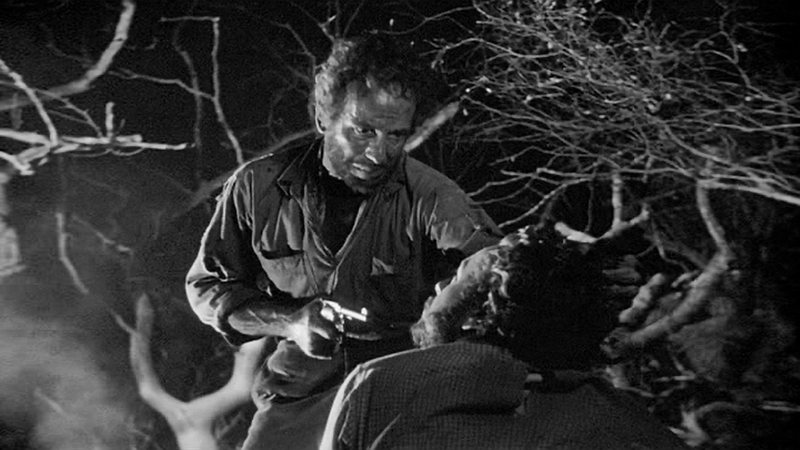 John Huston's Treasure of the Sierra Madre is a Western in appearance but a pitch-black noir in spirit. Huston's gift for stripped-down and blunt, yet nuanced and patiently observed, direction makes his view of this doomed hunt for gold brutish but insightful. Huston's own father shines as the old man who tries to extricate himself from the all-corrupting influence of greed but cannot; the fact that he even tries makes him the de facto moral center. But this is Bogart's show, and he plumbs depths of evil and avarice rare even for him. He's such a repulsive, unredeemable character that his fate is both welcomed and, by virtue of its almost Coenesque anticlimactic placement, all the more shocking. Malick's passion project came to fruition in the form of an extended montage, a floating camera drifting through the history of the universe, past, present and future. 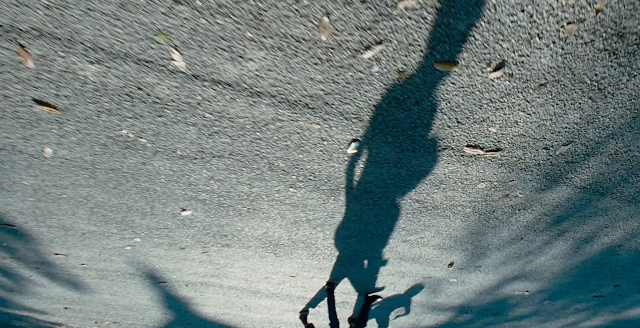 Malick perfects his style, making a film made solely of glances and textures, of emotions without filters that I felt as the characters felt them. Brad Pitt has never been better than as a father unprepared to handle just how much he loves his children, which can make him as much a monster as an unloving parent. The religious imagery is bombastic, yet as Malick traces a semi-autobiographical '50s family to the birth of the universe and the death of the Earth, I think less of any Judeo-Christian teaching than Carl Sagan's line, "The cosmos is also within us. We're made of star stuff. We are a way for the cosmos to know itself." The first act pushes Lynch's surreal deadpan humor its limit, practically daring you to stop watching. If you can make it through, however, the movie then opens up to both his most horrific exploration of the dark heart of the suburbs, and the most humanely observed. His pity and compassion for Laura Palmer make her plight harder to bear, and the twisted irony of her "angel" coming to usher her into death is as genuinely comforting as it is terrible. 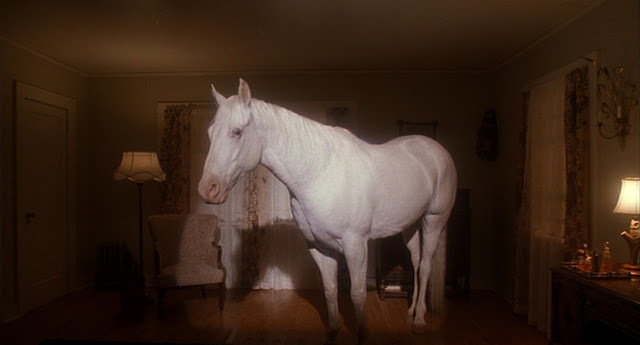 Not only does the film manage to offer a spiritual closure to the show's narrative cliffhanger, not only does it encapsulate the series as a whole, it also distills all the conflicting, weird elements of Lynch's canon to the barest, if strangest, essence. 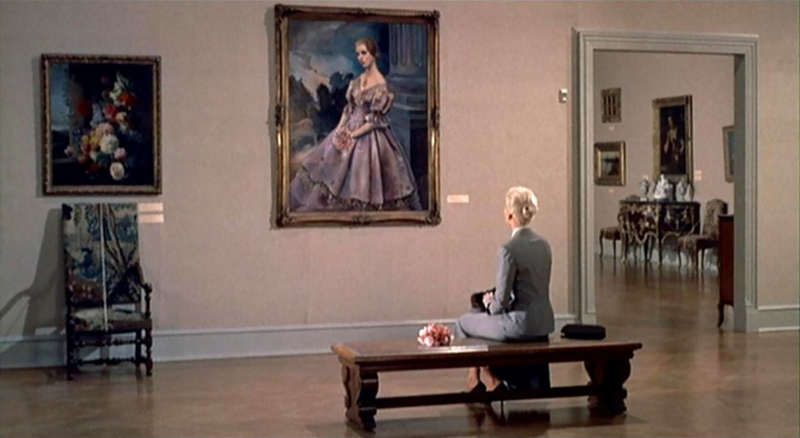 Hitch uses all his visual trickery to dive into Stewart's Scottie, reflecting the character's obsessive misogyny even as he imperceptibly critiques it. Stewart's innate ability to engender audience sympathy makes his loss and betrayal devastating, but as he tries to mold a new lover into the image of the old one, then goes mad when he learns of a larger ruse, his doting becomes sinister and abhorrent. To even try to unpack the intricacies of Hitchcock's critical ironies in a blurb is impossible. Nothing short of a full monograph can even broach its complexity. Walk Hard takes Spinal Tap's unsparing insight into the darkly funny perils of real musicians and marries it to a parody of rampant musician biopics so right-on the movie has, like Spinal Tap, only ever gotten funnier the more I learn about the things it mocks. Damn near every single line is quotable, and the cast delivers the dialogue perfectly. To this day I cannot see Raymond J. Barry in anything without thinking "The wrong kid died." And like Spinal Tap, Walk Hard excels on the strength of songs as solidly crafted as they are ridiculous. Tarr uses only 39 shots in a 2.5-hour film, each take constantly realigning, even overhauling, its immaculate blocking. This approach also allows the implacable tension of the circus tent attraction obsessing everyone to build and build until it threatens to collapse society. But for us art-loving shut-ins who see creativity as a means for building the world, Tarr unsympathetically uses the giant whale carcass to symbolize art, and the different ways people respond to it are all, on some level, destructive. 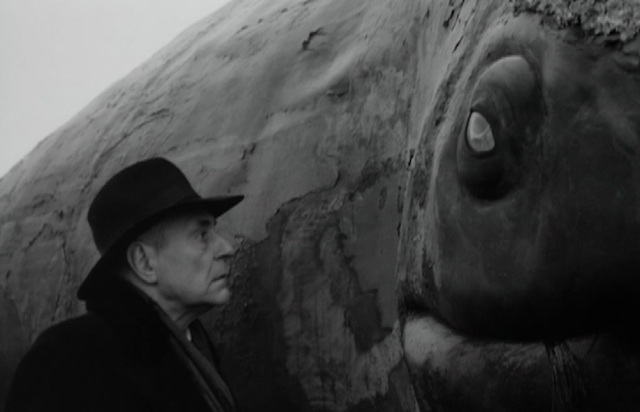 Tarr may be Tarkovsky's heir, but he's also the Russian's spiritual polar opposite. Walsh's meaty direction combines with Jimmy Cagney's playing to the rafters for a gangster noir so vicious it feels more like a lost Pre-Code feature than a contemporary genre picture. 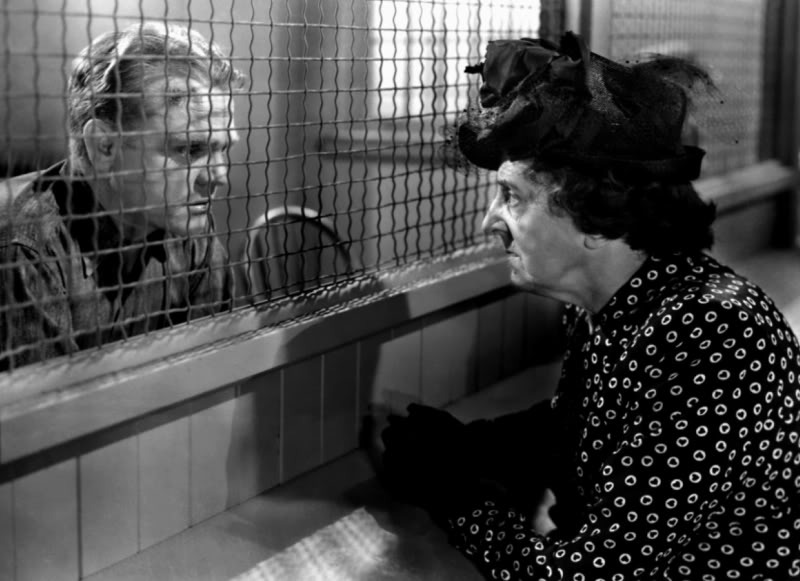 Cagney's Cody is a sadist both mollified and egged on by his mother, and his mood swings of agony and rage make him predictable only that he is always unpredictable. No one died like Jimmy Cagney, and his righteous screams from the top of a burning refinery is his finest demise. Edward Yang's final feature is an elegantly paced, three-hour film about the travails of a family that seems to capture all life in its frame. Generational gaps, coming of age, fading innocence, rekindled passions, and more play upon the family, and even the larger and social context of Taiwan. Part of the film's greatness owes to Yang's refusal to take a side in the old vs. new debate: he sees the advantages of both, but also how each relies on the other. Only together can they figure out something as complex, frightening, yet rewarding as life. Fincher's last film before moving into his current obsession with the digital age, Zodiac is, appropriately, a decidedly analog tale about piecing together a mystery without modern tools. The clean, dark digital photography gives uncomfortable clarity to the Zodiac's work even as it obscures anything that can lead to his capture. And time wears on, infuriatingly slow compared to how the world now wears on. In The Social Network, the long-completed Transamerica Pyramid symbolizes instant change in the technological era. In Zodiac, its time-lapsed construction shows the trail growing cold, until, like the Egyptian pyramids, the building becomes a tomb for San Francisco's murdered. Honorable Mentions: These are the films I left off my final list either because I needed to revisit them or because I simply ran out of room. I won't list any films by directors already mentioned for the sake of brevity. That does, though, mean I will have to avoid mentioning Carl Dreyers Ordet, a film I desperately needed to see a second time, and did right in the middle of this week. Had I rewatched it earlier, it most certainly would have had a spot on this list. In time, and with a few more viewings, it may well occupy a spot in my top 10. Here are the 25 that just missed the cut. Really amazing list Jake, and it's going to take some time for me to really dig into it and seek out those films I haven't seen. I look forward to doing so. One question though: why have you chosen films throughout your top 100 as "Top 10" films for Sight and Sound instead of simply using your own Top 10 as indicated here. In most cases, the films you've chosen for Sight and Sound are relatively unsurprising choices, canonical classics that don't seem to reflect your very diverse taste as well. Terrific list! I'm a little surprised at the lack of Paul Thomas Anderson on here though. Fantastic. Absolutely spectacular. As if the inclusion of Singin' in the Rain, Stalker, Stroszek, Taxi Driver, Twin Peaks, and Vertigo weren't enough, you also proceeded to include the film that absolutely changed my life forever, my all-time favourite movie Werckmeister Harmonies. I have never seen a film as amazing as Werckmeister Harmonies and I don't know if I ever will. It broke me, shattered me, reassembled me and then broke me again. 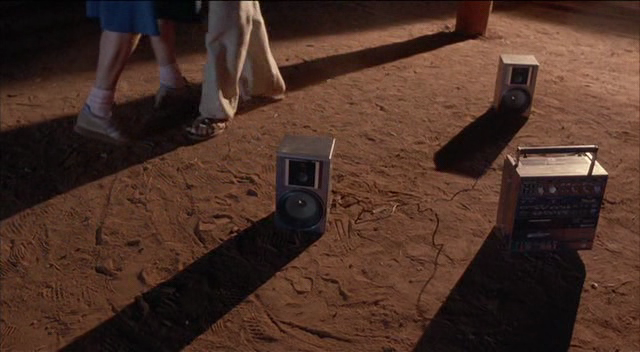 You also included Yi Yi, one of two Edward Yang films I've seen (I'll be seeing a third with The Terrorizers soon). Yang is one of my five favourite directors. Have you seen A Brighter Summer Day? That movie, like Werckmeister Harmonies, shattered me. I love it and it's easily one of the absolute best movies I've ever seen. I can't think of a better way to spend a straight four hours watching one film. Carson: That really is my top 10 at the moment (though it changes so fast I hesitate to even say that), but I think this also illustrates the problem with a top 10. I suppose I could have tried for more variety in those picks, but that would mean I was picking them just for their relative obscurity, not how I felt about them. Still, I'd much rather use a top 100 to gauge taste than a top 10. Benjamin: If there had been one, it'd have been Punch-Drunk Love. But I barely remember anything about it, so I wasn't comfortable giving it even an honorable mention. Tyler: I haven't seen A Brighter Summer Day. I know there's an old bootleg of it circulating but it seemed to be pretty poor picture quality so I'm waiting for the long-delayed Criterion release. I hope last year's Janus restoration and brief touring of the film is a sign they're getting close to putting out a DVD/Blu-Ray. Great finale. I'm actually rather surprised how similar our Top Tens would be--you've seen many more films than I have, and our top 100s would be wildly divergent. However, I would also have Sunrise and The Tree of Life in my 10, probably along with The Red Shoes and possibly Seven Samurai. I would have Andrei Rublev instead of Stalker, but everybody needs some Tarkovsky in their life. Other sure things in my list would be "M" and "The Rules of the Game," which you include in your 100, and while I don't think Taxi Driver would be in my 10 it would be top 25. But enough about my tastes; it's a fantastic list that informs and reminds me of the many gaps in filmgoing knowledge and makes me eager to fill them in. Brilliant list, very unique and diverse choices and most of the movies are actually the ones i have never even heard of which makes me want to watch them as soon as possible. great list. Stephen: Thanks for the feedback! Asif: Thanks! I love getting new films to see from lists. I don't deliberately try and be unorthodox but I'm glad some of my tastes have inspired some to seek out some new things. I keep reverting back to this list, even as I compile my own. I've seen 7 of the films mentioned in this batch - and have a desire to see all of them. Especially "Sweet Smell of Success". I hope you do. Even within my top 100, the picks here are among my most cherished. Bravo for including "The Tree Of Life"! Great list! (i quibbled with a few choices, who wouldn't, but all in all, really inspiring, and I'm going to now see all the ones I haven't caught yet!